Yay! There’s a baby on the way! Now before you start worrying about the long, sleepless nights and the countless diapers you’ll be changing, there are plenty of fun things to look forward to before your little bundle of joy pops into the world! Nine months is quite the wait, and while you and your family will be anxious to get things ready for your little one, there are some things that will require patience. For instance, planning a baby shower. Can you have a baby shower too early? The first trimester of any pregnancy is always the riskiest for your little one, and sadly in some cases, things don’t work out. Plus let’s be honest, do you really want to party when you’re dealing with morning sickness? With that said, any shower talk should absolutely be avoided before week 12! Second trimester baby showers are more appropriate than first trimester showers; however there is still good reason to hold off on those plans. Remember, you’ve got 9 months, plenty of time to get everything ready for that special delivery! When to have a baby shower? So when is the right time to have a baby shower; 3 months before baby’s due? 1 month? 2 weeks? 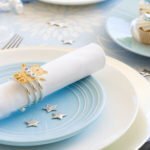 Planning a baby shower date doesn’t have to be precise, in fact there really is no exact date for when to have a baby shower! Usually anytime within the third trimester (weeks 28-40) is appropriate, however we recommend between 1-2 months prior to baby’s E.T.A. This ensures your little one’s healthy and happy, as well as gives the parents-to-be some nesting and resting time before their new arrival! *Tip: Avoid last minute baby showers, since mama-to-be may not feel up to partying. Set your baby shower date no later than two weeks before baby’s due date, to avoid those late pregnancy discomforts! 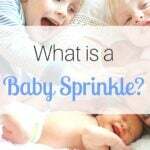 Can you have a baby shower after baby’s arrived? Mom’s Recovery Time – Remember, giving birth is no easy task, and even a natural birth will still require several weeks of recovery time! Baby’s Sleeping Schedule – It’ll take time for you to adjust to baby’s sleeping patterns, which could be right in the middle of the party! 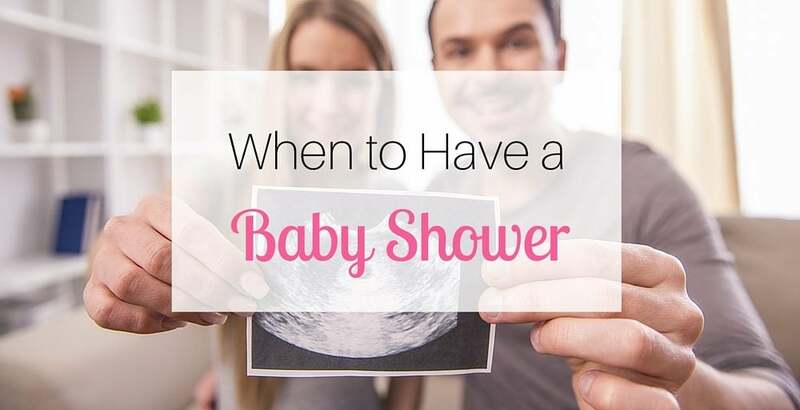 Nursery Necessities – Showers are when parents get many of the things they’ll need for baby, some of which are required before he or she even comes home from the hospital! If you’re trying to coordinate with out-of-state family flying in for the birth, or shortly after, consider planning a “Welcome Home” party rather than a traditional baby shower. This way, the parents can still show off their new arrival to friends and family, and have everything they need in time to care for their newborn!